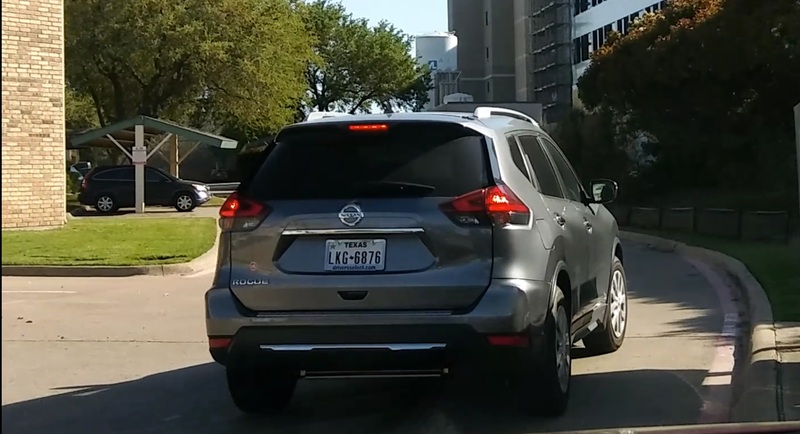 Event Description: Another PSYCHOPATHIC CRIMINAL hits his damn brakes in front of me and PARKS IN THE MIDDLE OF THE STREET! *HIT BRAKES IN FRONT OF TRAFFIC THAT WAS BEHIND HIM *PARKED IN THE MIDDLE OF THE ROAD *PARKED IN THE ENTRANCE TO THE APARTMENTS *PARKED IN A RED FIRE LANE THAT IS SPECIFICALLY MARKED “FIRE LANE NO PARKING” *CREATING DANGEROUS HAZARD FOR TRAFFIC AND BLOCKING TRAFFIC IN AND OUT OF THE APARTMENTS There are TWO, count them TWO EMPTY PARKING SPACES TO THE LEFT OF THIS DERANGED CRIMINAL! And still………STILL……..the so-called Plano “law enforcement” REFUSE POINT BLANK TO DO ANYTHING ABOUT THESE DANGEROUS CRIMINALS!! !